If you’re a makeup addict, you’ve probably encountered Inglot. Similarly to MAC, they have stand-alone stores all over the world and offer a huge selection of products. Since we’ve already established that MAC tests on animals, would Inglot be a better alternative? Unfortunately, it doesn’t look like it. Inglot can be found on PETA’s Caring Consumer list, under the cruelty-free brands. This means that Inglot signed an agreement of no animal testing with PETA. However, Inglot can’t be found on Leaping Bunny’s list. For more information about the difference between Leaping Bunny and PETA certification, click here (opens in a new tab). My questions are in bold, followed by responses from Inglot. The following is their official animal testing policy. CFK: Does Inglot test finished products or ingredients on animals at any point during the production? INGLOT: As required by the Regulation (EC) No 1223/2009 of the European Parliament and of the Council of 30 November 2009 on cosmetic products, we do not test on animals – nor ingredients, neither finished products – at any point during the production. CFK: Do your ingredient suppliers test on animals? INGLOT: Ingredients intended to be used in our cosmetic products are not tested on animals by our suppliers. CFK: Does any third party test on animals on your behalf? INGLOT: There are no third parties testing on animals on our behalf. CFK: Does Inglot test on animals when required by law? Are your products sold in mainland China? INGLOT: INGLOT does not test on animals when required by law. Our cosmetics are not sold in mainland China. Based on the above responses, we can trust that Inglot themselves don’t test on animals. They also don’t test on animals where required by law, which is fantastic. 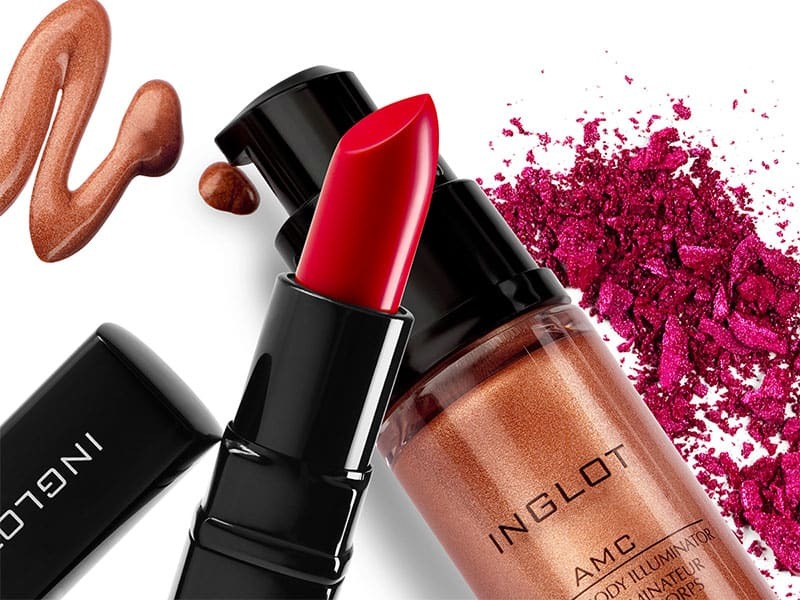 However, a red flag was raised when Inglot mentioned their suppliers. 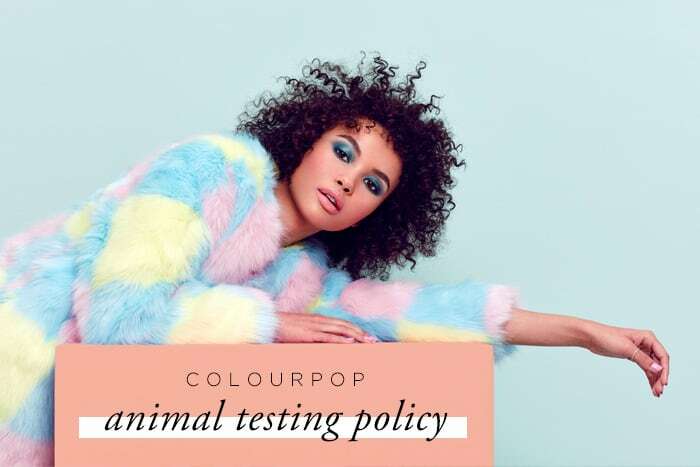 What this means is that Inglot cannot guarantee that their suppliers don’t test on animals, because it’s highly possible that their suppliers test non-cosmetic ingredients on animals. It’s not uncommon for suppliers of raw materials to provide a wide variety of ingredients, ranging from cosmetic to skincare to medical. For a makeup company to be cruelty-free, they must choose a supplier that doesn’t perform any animal testing on any ingredients. Although Inglot themselves don’t purchase any non-cosmetic ingredients, it’s sound to say that the ingredients found in their products aren’t tested on animals. However, because they might support suppliers that test on animals, this doesn’t make Inglot a cruelty-free company. Because Inglot couldn’t guarantee that their suppliers don’t test on animals, I won’t be adding them to my list of cruelty-free brands. It’s really unfortunate that yet another PETA-approved brand is revealed not to be cruelty-free. Does Kat Von D Beauty Test On Animals? On the positive side, it’s still a PETA-approved company and they don’t sell in China, which is better than many other brands! They might support suppliers who test on animals. For this reason, I for one wouldn’t claim that they’re cruelty-free. I wouldn’t claim that they support animal testing either, but there’s just not enough proof supporting that they’re cruelty-free. Let me know if you want more clarification! They are literally saying that if they are doubtful of their suppliers they “would not purchase such ingredients.” Please add it to Cruelty Free, because it is & all of their statements are solid proof. The line between cruel and cruelty free isn’t thin…….. The ingredients used in their products are not tested on animals, but their suppliers might test on animals. I don’t consider this to be 100% cruelty-free, but you’re absolutely free to do so! Thanks for getting back to me Suzi! I really appreciate it! ^_^ Love your site. It’s my go-to! Thank you so much for all the hard work you do to help make shopping cruelty-free easy for people like me. You truly are amazing, thank you so so much! It’s complicated being a compassionate shopper, and having a reliable resource like this site surely helps. In an ideal world, we beauty addicts could just buy anything we like, because *nothing* is tested on animals. Until and unless this is the case, we’ll have to stand together and keep doing what we’re doing, which is refusing to give money to animal abusers.. I don’t think your conclusion makes sense here. They’re saying that if their supplier refuses to confirm whether they test or not, they would NOT purchase those ingredients from them. Or if they find out that the supplier does test (let’s say the supplier told them one thing and they found out otherwise), they would NOT purchase from them. I think that’s being pretty transparent that they refuse to purchase ingredients that are tested. 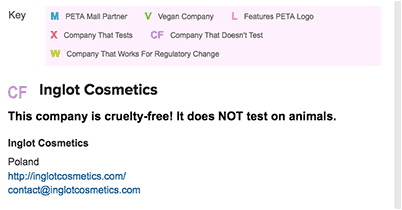 My definition of a cruelty-free company is one that does not purchase from suppliers that test on animals. Even if Inglot only purchases ingredients that aren’t tested on animals, they’re still collaborating with a supplier that might test on animals. I see your point of view, but maybe it’s worth to specify this with the company? If they say, that we don’t buy THIS ingredient (which happened to be tested on animals) but still we buy from this supplier then you are right. But If they say, that we stop buying from them period, then you are not right. It’s just need one extra clarification for me. They didn’t say it was only the ingredient they were purchasing, they clearly said “supplier”. Their response was clear as crystal. What happened to your comprehension! This makes sense to me, but cruelty-free organizations like the Leaping Bunny, PETA, or Choose Cruelty-Free stipulate that suppliers must not test on animals for a brand to be certified. It’s usually a requirement for suppliers to be fully cruelty-free, so I’m not sure why so many suddenly disagree with this. It’s because, you’re ruining a company’s reputation. They ARE cruelty-free. You just didn’t understand their response. How can you put brands like Urban Decay and NYX on your cruelty free list but not Inglot? By buying from UD and NYX you are supporting animal testing because your money indirectly goes to the parent company that tests on animals, similar to how if you buy from Inglot your money indirectly goes to suppliers that test in animals. It’s the same right? So wouldn’t it make more sense to remove them from your list or add Inglot with a note about their potential suppliers? I SO agree with you ! Strongly agree with you!! I think those owned by non-cf parent companies ones are even worse than the case of inglot. I think what matters to us who truly want to go cf is that we read through such things and make our own opinions. I’m sorry but your list is a total joke. You include brands owned by L’Oreal, but you won’t include Inglot. Care to explain the reasoning behind it? It’s fine if you don’t agree! That’s why I’m putting this information out there and being transparent. You can find out the reasoning behind my list at the top of that page, with the cruelty-free criteria. I find your conclusion pushed a little bit too far. For me it is clear that Inlgot makes a big effort to be transparent AND cruelty-free. They’re also an independant companie. I understand your point of view but for me as long as no products or ingredients are tested on animals, it’s considered as cruelty-free. I will NEVER support ANY companie owned by L’Oreal or Estée Lauder but you still put some of them in your cruelty-free list. I’d like to point out that you can’t categorize suppliers in cruelty-free & non-cruelty free because they both sell & buy ingredients to both drug and cosmetic manufacturers. In case of drug companies/manufacturers there’s no way of knowing whenever they did or did not test on animals because they are allowed by law to hide their methods of testing as it is ‘proprietary information’. Well for example wool can be considered cruelty free if the sheep are well taken care of. It grows back and does not really affect them, and if anything in summer months it is a relief to have heave and warm fleece removed. Same thing for natural ‘fertilizers’. Now, these examples of course don’t have much to do with makeup, but I suppose it’s possible that the same thing can apply in certain instances? Regarding grocery shops, we don’t have any practical options as of now. There are hardly any completely vegan grocery shops. There are, however, completely vegan cosmetic brands. 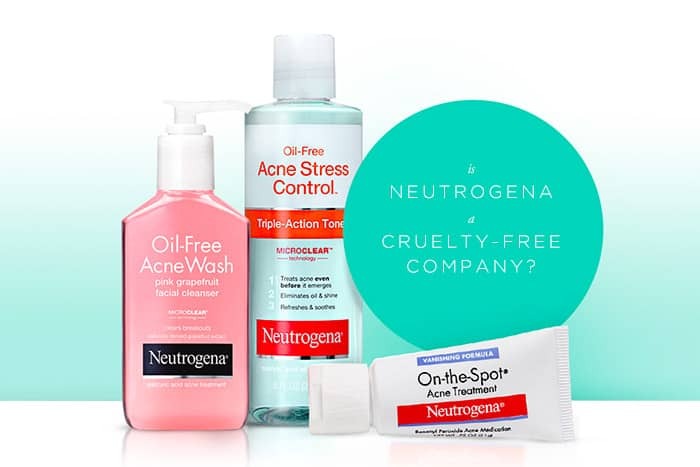 In addition, there are brands that don’t buy from suppliers who test on animals. I find that we should reward these companies that make an effort to avoid injuring animals. I’m trying to work out where once they mentioned any testing on animals, by themselves or third parties. They clearly stated they do not test on animals. I just wanted to clarify why Inglot is not cruelty free? You’re bottom line says that supplies mayt test Inglot products on animals but in their response to that question they said that their suppliers do not test on animals. What am I missing here? Hi! You are not missing anything! Everything is fine with your logical reading and you don’t over-interpret 🙂 The problem is not at your side. My entire cruelty free life was triggered by and has been built around Inglot. I think my own judgement on this article would be that I will continue to use them. They are making the right choices by Refusing ingredients tested on animals. As it’s been said above, if people are willing to accept the likes of Urban Decay, then Inglot are definately cruelty free. Oh, VERY bad word–I LOVE Inglot’s matte eyeshadows! Is Art Deco a good alternative? It’s so difficult to find matte eyeshadows in a good selection of shades. There just HAS to be a cosmetics company out there that has a conscience *and* makes good products! hello Girl! Just ignore this article and keep using Inglot! It is the least valuable article I have ever read! Inglot CLEARLY states that they do not test on animals etc. Facts are facts. Suzi looks for a hole in the whole and she tries to accuse inglot of being unfair towards customers. If you read answers several times you see that inglot is doing its best for animals and customers. Every single answer by inglot is a clear answer. Suzi wrote article that is NOT PROFESSIONAL! Hi! I recently learned that in Europe animal testing in cosmetics is illegal. I also learned from a friend that Inglot is in fact a polish company. Would that make it, by default, illegal for Inglot makeup to have anything testing by animals being sold? Please let me know! Please feel free to email me if you have any further information, and the time to pass it on personally. Hi suzi, while I do not agree with your conclusion, thank you for the detailed info which helped me form my own opinion! You’re my no.1 zource on cruelty free cosmetics, thank you so much! Hi there, I am confused: reading Inglot’s response about suppliers, don’t they say (see below) that they ask, and if the supplier either tests on animals or won’t confirm that they don’t test on animals, Inglot’s policy is NOT to use them to supply ingredients? Surely this would make them totally cruelty free? Hi CFK! I am a South African trying to promote a cruelty-free beauty lifestyle… and trust me when I tell you options are pretty limited down here! No Sephora and limited cruelty-free brands. However, we do have Inglot. Have you heard anything further from Inglot regarding their suppliers cruelty-free policy? I currently do not use their products but would love to have them has another option. I look forward to your response and thank you for a wonderful site! 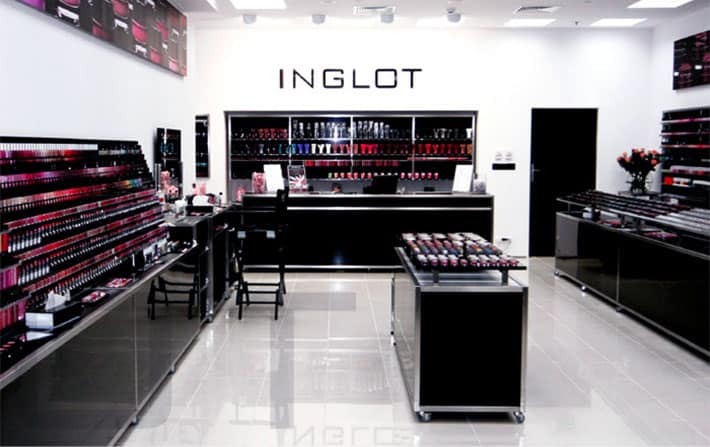 INGLOT sells in China. If they said they do not sell in China, it is NOT true. Isn’t this another ‘one step removed’ situation though? Like Urban Decay being owned by L’Oreal? I’d buy UD products because they don’t test, even though they’re owned by a testing company and surely some of the money ends up back in L’Oreal’s coffers. Please take down your blog, you’re not only ruining some companies’ reputation. You also misleading the public. Thank God many people here knew how to read and understand the context.